If you are a member of any online communities, leave links in your profiles to raise awareness and get some traffic. If there are happy customers or partners who own a website, do not hesitate to ask them for a link or at least to leave a feedback with the brand mention. Don’t miss out the branded e-mails you send out. Inserting a link in your signature will take a second, but can bring some traffic and value. Reverse engineering. This method is more time-consuming and requires the use of some SEO tools and basic Excel skills. First of all, you’ll have to select your online competitors, which can be done either manually or with the help of online or desktop tools. Select competitors which appear in SERP (for your targeted keywords) most often and get their backlink profiles either with the help of Google “link: website address” operator or by using free versions of such tools as SEO SpyGlass. If you use the “link:” operator, you should also consider installing Multi Links add-on for Firefox which lets you copy multiple URLs at once directly from SERP. Don’t worry that when using Google operator and free versions of SEO tools you’ll get limited number of backlinks. You’re just looking for link building ideas and you’ll get more than you can eat this way too. 1. Click on the column header to select the entire column. Click on the Data tab in the ribbon and then Text to Columns in the Data Tools group. 2. This command opens the Convert Text to Columns Wizard. 3. 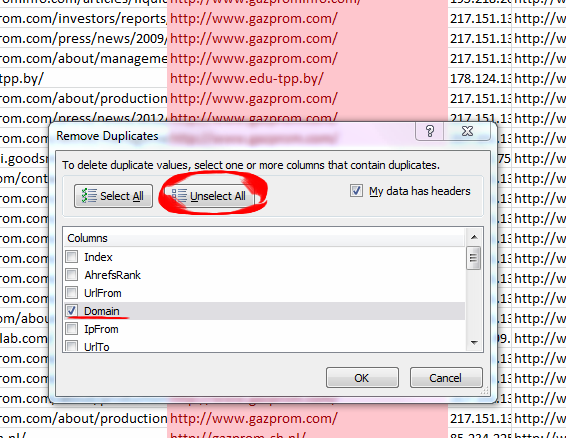 In the Wizard, choose Delimited and click on Next. 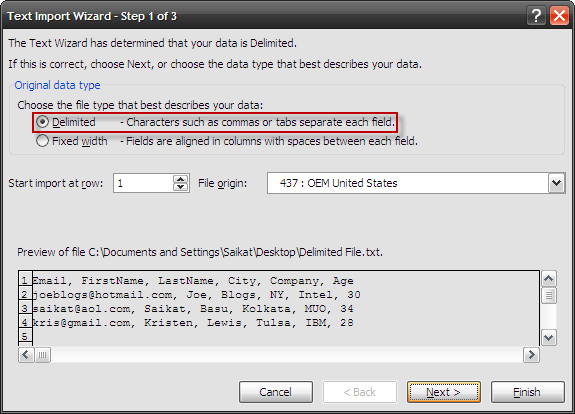 In the second step, choose the Delimiter for a particular file (comma, in our case). Click on Finish and get your spreadsheet. Obviously, we don’t need to examine tons of similar pages from the same domain, that’s why you’ll have to trim the domains with the help of such formula as: =LEFT(cell number;(SEARCH(“/”;cell number;9))). Hopefully, you will now have the add-in installed. Voila! You are weaponed with a list of the most quality pages linking to your competitor’s site. You can also classify them with the help of Link categorizer if you want to exclude particular type of resources. Note that although we trimmed the domains, we are actually interested in links from particular pages (those in the first column, but from unique domains now). All you now have to do is to click on the links and decide whether you could also get one. If you can’t find the link to your competitor’s site on the page, use Firebug add-on for Firefox or, if you use Google Chrome, click the right mouse button > Inspect element > Ctrl+F and enter part of the URL to your competitor’s site. I’d like to note that I’m describing this a bit daunting manual method since we’re talking about free link building solutions. At some stage of your SEO practice you’ll probably realize that paid tools are life and time savers, but if you’re just exploring link building, this method is a great way to start. 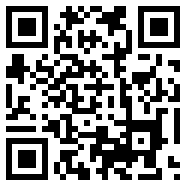 Submit your business details to such business directories as http://www.europages.com/ or http://www.yell.com/. Thus you’ll get a link placement, leads and enquiries from potential customers who are most likely to convert. Press releases. Despite the fact that this method is often perceived as atavistic, it can still be used to diversify your backlink profile. You can submit unique PRs to free websites with the highest DA. If you have a blog on your website, which is frequently updated with interesting and useful content, submit it to blog directories and experience the growth of backlinks! Guest posting. Although I promised a list of effortless backlinks, this method will require writing some content, i.e. some copywriting skills. Firstly, look for relevant niche blogs you’d like to submit your content to and enquire whether they accept guest posts. You can also register at such websites as http://myblogguest.com/ or http://konector.com/ and explore what kind of content bloggers need and would like to post. It can definitely save you time and effort as you’ll be sure your post will be accepted by bloggers. Then contact selected bloggers and start writing. Trace your brand mentions with the help of various tools like Google and social Alerts or free version of software like BuzzBundle. Receive information about who mentioned you and ask them for a link (if, of course, this mention is positive). You can also use such Google operators as: intitle:[brand name], intext:[brand name], inanchor:[brand name]to keep track of your brand mentions. Fix broken links. Crawl your website with the help of desktop (e.g. WebSite Auditor)or online tools (Screaming frog, WebMeUp) or simply go to Google Webmaster Tools, find 404 pages and redirect them to the most relevant pages on the site or to the main page to make sure you don’t lose backlinks juice. After writing several blog posts you’ll be experienced enough to create a Wikipedia page about your brand and company. It can be a great traffic generator. That’s it! Diversify your backlinks profile, save time and cut expenditures.